Deer Shed proves once again that it is the ultimate family festival, one that is friendly, relaxed, spacious, with a massively eclectic musical line-up and so much entertainment for the kids that you’ll never hear “I’m bored’. Deer Shed 9 was our 8th visit to the festival and not once have we ever considered not going. We regularly attend other festivals and sometimes at the end of the weekend we consider that might be our last, we’ve never said that about Deer Shed. The things we loved about our first visit have never changed. No queues to get in, campsite is close to the car park and there is always lots of room and very friendly neighbours. The music, performances and activities have always kept us interested, but year on year what is on offer has changed, but its changed for the better, the musical line-up has expanded, the activities for kids has grown and more importantly changed to cater for their increasing years. 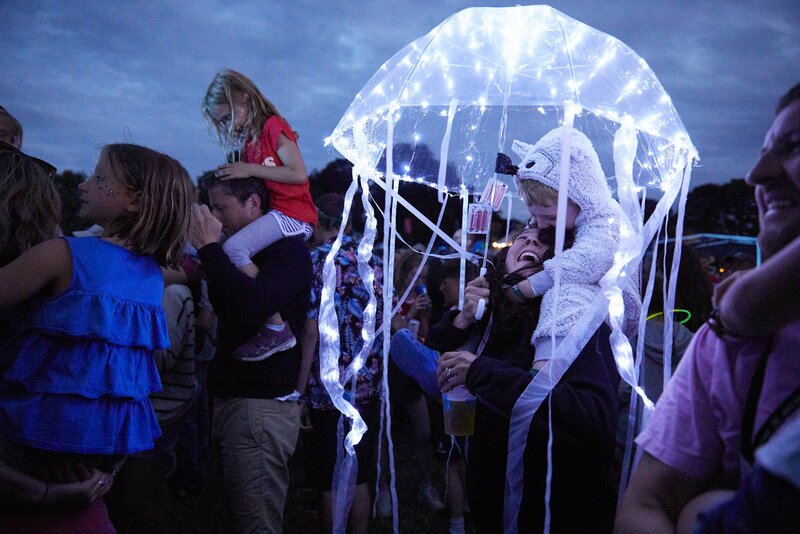 This is a festival that was created by a family and for a family and that love and attention shines through. We kicked off our weekend of music at the In The Dock Stage with the superb Whenyoung and what a way to start. The London based Irish trio wowed the crowd with their infectious indie pop with the sublime vocals of Aofie Power. If everyone wasn’t already up and dancing for their hit Actor they soon were with a cover of The Cranberries Dreams. In all a fantastic start to the weekend. I’ll openly admit that I’ve not always heard of many of the bands at Deer Shed so I like to do a bit of research before I come. The act I was most anticipating the year was Morrissey and Marshall. Lucky for me they were doing a late afternoon acoustic slot on the fantastic Pallet Stage (yes it really is a few pallets in a field!) Its clear from their music that they are heavily influences by both the 60s and 90s, with the likes of The Beach Boys, Simon and Garfunkel and Oasis evident in their music. It was the perfect soundtrack to a sunny evening overlooking the lodge. And they may have been sat down on sofa’s but the crowd that had amassed where most definitely up dancing on their feet. From the moment that Dream Wife entered the stage of In The Dock Stage I knew I was in for a wonderous treat, not only did they look like my favourite feisty 90s punk rock band L7 but they sounded like them to. Add in a vocalist not dissimilar to Bjork (she’s Icelandic too) I’ve definitely found my band of 2018 and from the look of the crowd, I’m not the only one. I’m not really sure where to start with HMLTD performance on In The Dock Stage! Glam, New Romantic, Punk? Take your pick, their music travels rather dramatically through all three and possible more. Their stage show was mesmerising and energetic to say the least, I for one couldn’t take my eyes off them. After their earlier performance I chose to see Morrissey and Marshall on In The Lodge Stage over Drenge on the Main Stage and I’m glad I did. The set was more upbeat and now up on their feet they were more exuberant and chatty. Considering they were going head to head with Drenge, the Friday headliners, they played to a packed and appreciative tent. All the live music may have been over but the night was still young so we headed over to see Deer Shed regular Rory Hoye DJ a silent disco on the In Dock Stage. His mixture of soul, funk, hip-hop and a splattering of pop had the tent jumping. After a spot of late night food we headed back to In The Dock Stage to continue dancing with another festival favourite Across the Tracks. I for one had a good singalong, but I felt sorry for anyone close by not wearing headphones! After a late night dancing it was a slow start on Saturday and we finally made it to the In The Lodge Stage for AK/DK mid-afternoon. The synth drum sounds set up for what was to be a day of amazing electronic music. It was a joy to be dancing in the sun to the heavy drum and disco electronics that I have come to love from AK/DK. Not wanting to come down from the electronic high we went off to have a play in the science tent before returning to the In The Dock Stage for Warm Digits on In The Dock Stage. More synths and electronic baselines, I have to admit so much electronic is not what I’ve come to expect from Deer Shed, but I like to be surprised. 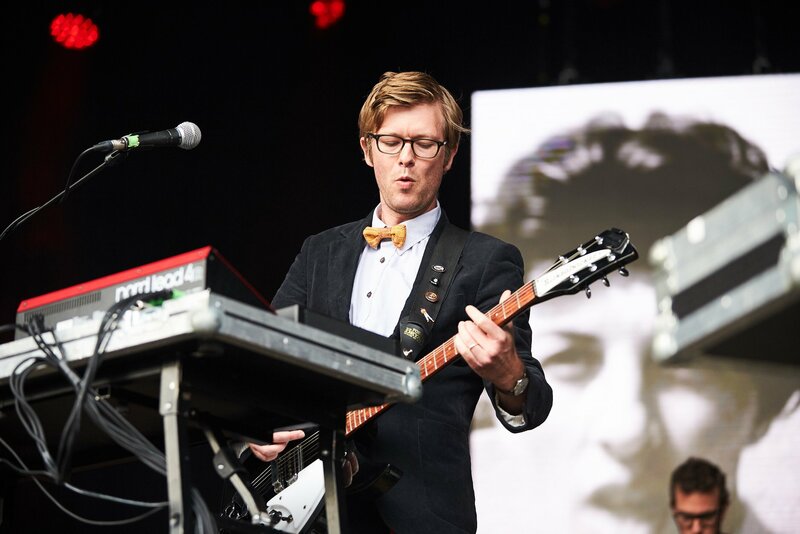 Like any well thought out programme Warm Digits were the perfect warm-up to the returning Public Service Broadcasting on the Main Stage. Returning to Deer Shed after 5 years PSB had a lot to live up to as their debut performance is part of Deershed folklore, and they didn’t fail to meet the challenge. Their set was a roam through the classics of all their three albums, which included a crowd cheering inducing performance of They Gave Me a Lamp from Every Valley, and a flash mob accompanied version of Go! from The Race for Space. 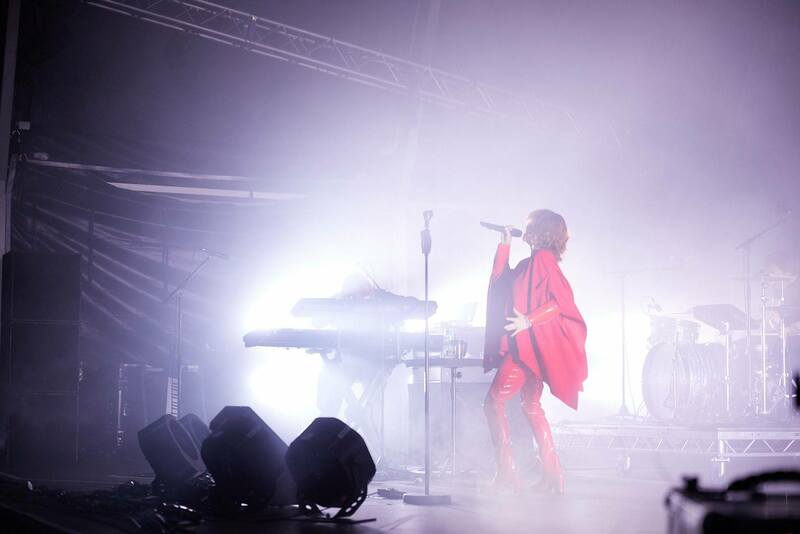 We eagerly waited at the main stage for the Saturday headliner Goldfrapp, who rounded off the feast of electronic acts fantastically. Amazing this was first ever festival headline, they had the audience eating out of their hands playing new songs to a welcoming crowd but sending them into a frenzy with their classics ‘Ooh La La’ and ‘Strict Machine’. A truly spectacular act to finish off Saturdays entertainment. We were woken bright and early Sunday morning, not by noise but by heat, and boy was it hot, the heat wave had hit North Yorkshire. Sunday is the last day of Deer Shed, so it’s time to pack up ready to leave. Once that was out of the way we headed into the area for some post making with Leeds City University. This isn’t just an activity for the kids, the posters they produce are amazing and will definitely adorn a wall in my house. After trying to find somewhere to cool down we headed to the Main Stage for the shade of the trees and we are glad we did. Ren Harvieu was unable to attend Deer Shed and was replaced by Girlhood. Only a few songs in and I’d made my way to the front of the main stage to truly appreciate their soulful pop. Clearly influenced by 90s trip hop, lead singer Tessa’s vocals are reminiscent of Martina Topley-Bird, it was the perfect music to sway along to a Sunday afternoon. Siv Jakobsen was the last act we watched before we had to reluctantly leave (work was waiting for us on Monday), and she was a joy to hear and see. Deershed was her last gig before she starts work on her next album, and she gave everything she had. Her songs are intimate insights and sharings on their own but combined with her humble and sincere performance she gave her songs an added poignancy that had the audience spell bound. She really was a captivating and cooling escape from the heat of the day. My only criticism of Deer Shed is that it finishes on a Sunday and we have too pack away in the morning, before heading out for the last of the music and entertainment. Thankfully next year it’s all changing. To celebrate their 10th Anniversary they are extending the festival to Monday, meaning you can enjoy every minute of Sunday. If that wasn’t good news enough they’re also moving to the following weekend, so no mad dash from school on the Friday. So if you’re looking for the ultimate family festival, one that is friendly, relaxed, spacious, with a massively eclectic musical line-up and so much entertainment for the kids that you’ll never hear “I’m bored’ then look no further that Deer Shed 10. Guaranteed to be bigger and better in 2019.